The infield of Churchill Down's is known for a lot of things. There's a lot of running around that happens there, and not just by the horses circling the track. One event that I have participated in a couple of times is an Easter Egg hunt that is put on by volunteers on Good Friday. I imagine that is a very different scenario than many of you had in mind. That's ok. The timing of this event always seemed off, but their intentions were good. They invite neighborhood children and especially any children of the migrant works that travel, and literally often live, with the horses. These children would come, enthusiastically running around filling their baskets with plastic eggs, and then turn those baskets in for Easter baskets full of candy and toys. It took some work scattering the eggs even though there was no place to really hide them. 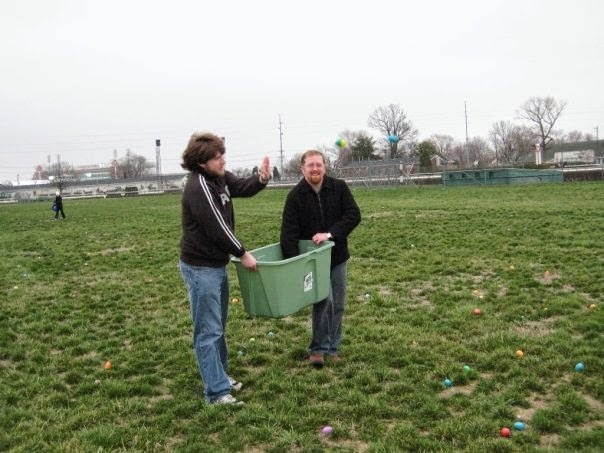 Instead, we took the several large storage crates full of plastic eggs and scattered them on the grass. This made it much more of a frantic gathering of eggs than really hunting for them. One thing can be said for sure about all the running around. It was done enthusiastically, and the volunteers were pretty enthusiastic because there was little work picking up the eggs that had taken some time to scatter. Is this similar to your Easter celebration? Running around, hunting eggs or chasing the Easter bunny from family gathering to family gathering? Will you do all this running around enthusiastically, with a joyous Easter heart? 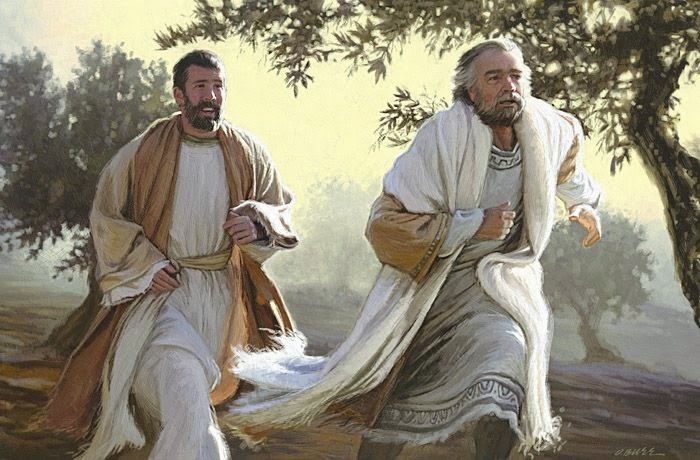 A lot of that same great, enthusiastic running can be seen in our Gospel. Mary Magdalen runs from the tomb to get the disciples, Peter and the Beloved Disciple run to see what she is talking about, the Beloved Disciple wins the race but waits for Peter to arrive. There is a lot of running around and there should be, after all it's not every day that a dead man's tomb is found empty. I'd be running around enthusiastically, that's for sure! I would run for the man I had given my life to, a time spent following and learning from, a man who performed great works and sent me out to do the same. This man I thought was the Messiah had died, and now you're telling me he might be alive! Legs don't fail me now! The word enthusiastic doesn't appear in this Gospel passage, but I have nonetheless used it several times already. Do you know that you can't really do anything enthusiastically without doing it with and for God? If something is true, beautiful and for our good and the good of others it can, and really should, be done enthusiastically. Are you lost on how I came to this conclusion? You might use the word all the time and never once think about God. Well, I might just ruin the word for you. The key is the 'thus' in enthusiasm. 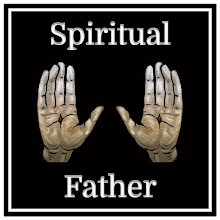 It comes from the Greek for God, Theos, think of Theology - the study of God. The 'en' is the same as our in. So enthus, or Entheos, literally means in God, but can also means caught up in Divine power. Any of the followers of Jesus: Mary Magdalen, Peter, John, the Beloved Disciple; did any of them just kind of wandering around eventually making their way back and forth from the tomb. No, they ran! They were filled with Divine energy and they ran; like Forrest Gump, they ran. Those Disciples were soon completely filled with the Holy Spirit and in the words of Forrest - they just felt like running. The disciples ran and ran spreading Christianity across the Roman Empire at an astounding rate. They did this because they were filled with the love of God, they did this because they lived and breathed in God. You and I have an opportunity today to practice true enthusiasm, not a fake kind of 'I'm so happy to be here.' But a real God-centered enthusiasm. The kind of enthusiasm that says yes I'm a Christian, yes I'm a Catholic, yes I'm a happy Catholic. Today you might give an enthusiastic yes to Christ, after all he gave an enthusiastic yes on the cross for you. This Easter, enthusiastically work on growing in your faith, do that and you'll find the Divine energy there waiting for you to do so. I also add, for those who hasn't been to Mass in a while, we have missed you. Seriously, it hasn't been the same without you here. With great enthusiasm I encourage you to join us again real soon. With that enthusiasm we can, like the early disciples, spread the faith across a world desperate for Good News. That really escalated quickly. We went from the entrance to Jerusalem to the crucifixion in seemingly no time at all. We see it almost every week. A new celebrity scandal or political misstep. It doesn't really matter who they are, just that they are famous in some way. It might be a race car driver, an actress, a sports star, a singer, a politician, a billionaire, or a celebrity famous for being a celebrity; they seem to be going along just fine and then suddenly, seemingly out of nowhere, they take a drastic fall. That's really a big part of it, isn't it? Why society watches, why we watch? We wait for something big to happen, we might even predict that something big will happen. In a similar way Jesus had a lot of people watching him. We are frequently told that great crowds gathered to listen or see him perform a miracle. Jesus had a flock of spectators, and in those crowds there always seemed to be some group wanting to see him fall. The drama will escalate this week. We will go from his triumphant entrance into Jerusalem, to the last supper and the institution of the priesthood and the Eucharist on Thursday. We will witness Christ's agony from the garden to the cross on Friday, and at the Vigil we will watch as new members enter the Church and Christ is risen from the dead. All of this celebration will continue on through Easter Sunday. 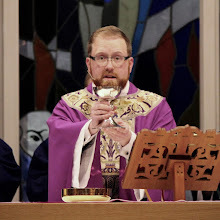 We have a choice: we might decide to watch all that is going on in the Church this week, we might decide to ignore it all together, or we might desire to enter into the experience, making ourselves available in terms of time, and space in our hearts. No matter what you decide to do Christ has already decided on what he will do. Christ will regard us. He will do more than look at us, watch us. He will look into us and he will not turn away with shame, or anger, or regret. Instead Jesus will look at us, and see us for what we truly are! His beloved for whom he was willing to die! All those people who looked at him, Jesus regarded them. The people who gathered to witness him early on, he truly saw them. The people who came and cheered for him, he regarded them with love, and with that same love he looked upon the very people who cheered for his death. Imagine looking at a crowd of cheering people, knowing that in a few short days they would be shouting for you to be crucified? How would you look at those faces? Would you be able to look at them at all? I believe the reason for life is simple, it is a quest to be known. To be known so fully, so completely by another, that it is both pleasure and pain. To have another look into our eyes and 'get it.' I think that is what motivates the vast majority of what we do. Sisters and brothers the eyes of another person will eventually fail you. At some point even your eyes won't recognize the person staring in the mirror; and the person you thought understood you will disappoint you in an unspeakable way. The eyes of Jesus never fail. The eyes of Jesus always look upon you with complete love and understanding. This Holy Week will escalate very quickly, where will your eyes fall?